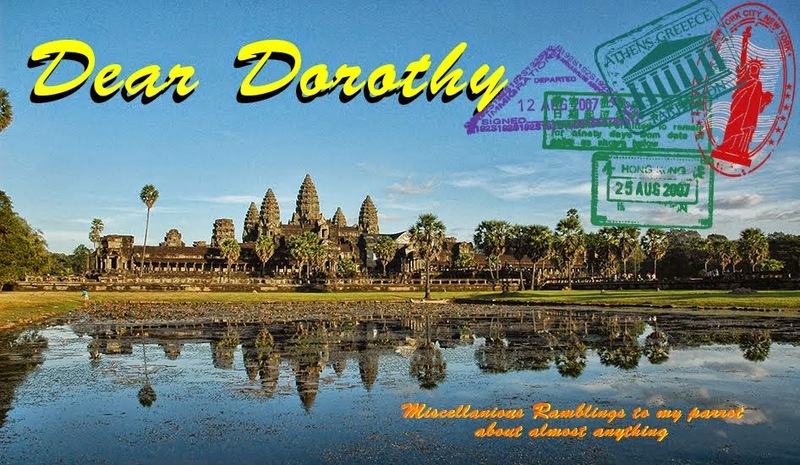 Dear Dorothy: Where next ? Namibia of course ! Where next ? Namibia of course ! It’s getting more and more difficult to find a place that is off the beaten track that I haven’t already visited and is not overrun with crazy fanatics out to do harm to anyone who don’t believe the same thing they believe. I’ve decided on returning to Africa. This time I’m heading to Namibia for twelve days and then to Cape Town, South Africa for a week. I am leaving the USA on November 2nd and returning on Thanksgiving day, November 24th. Thanksgiving is my absolute favorite holiday and I fully expected to be home eating myself into a food coma when I made the air reservation, only to find that leaving Johannesburg on the 23rd would not put me into Seattle the same day, unlike flying from Asia. So I suppose the best I can hope for is a cold turkey sandwich somewhere over Nebraska. Namibia is located on Africa’s west coast. Kind of where Chile is located in South America. 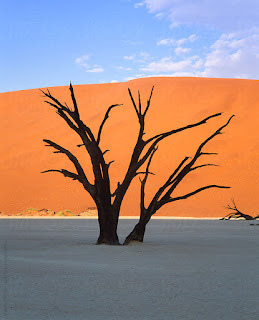 Like Chile, Namibia is mostly seacoast and desert. Billed as one of the earth’s oldest deserts the Namib borders the aptly named Skeleton Coast. Lions and elephants have adapted to this harsh environment as well as Hyenas and Rhinos. The county is large, about twice the size of California. It is also very sparsely populated. Namibia’s 2.2 Million person population is about the same as Seattle’s, King County. Having three people per square mile, the only state in the US is Alaska that has fewer people per square mile. My initial plan was to arrive in Namibia and rent a 4X4 with a camper on top. I had expected to drive from camp to camp staying under a roof two out of three nights. The reviews I read by people who had rented from these companies raved about it. The only place I couldn’t access would have been the upper Skeleton Coast. My last trip to Africa was handled by Bert with Fish Eagle Safaris and I saw that company that he represents had a Fly in – Fly out lodge there. I called him and asked about availability for that lodge. He said it was full through the end of the year, but there was a planned ten day safari that did include that lodge. He then went on to explain to me that driving alone in Namibia is risky. He said the roads are generally unpaved and flat tires are frequent occurrences. Yeah, yeah – I hear you Bert. Scare me off so I’ll book your safari. Heck I’ve driven a 4X4 through kilometers hub deep mud in Macedonia. I’ve heard Macedonian men tell other men “Don’t worry, Theresa is a good driver”. Thanks, but no thanks, Bert. A few days later a couple I seldom see enough of met me while on a walk in the marina. In the course of the catching up they said that the pervoius night they had been with friends who had recently returned from Namibia. Talk about a fortuitous meeting. They went on to say that their friends rented a 4X4, but instead of driving they had a local man do the driving for them. OMG ! Tell me more ! Turns out they got lost, had two flat tires and had to wait several hours for the next vehicle to drive by and get them back on the road. The next day, I called Bert Back. So it’s all set. November 2nd a four and a half hour flight from Seattle to Atlanta. A plane change at the airport I hate the most of any airport I’ve ever been to. Then another flight from Atlanta to Johannesburg of only sixteen and a half hours. The third longest commercial flight, behind Dallas to Sydney (17 hours) and Dubai to Panama (17.5 hours). When I fly it is generally an eight to ten hour flight, but over sixteen hours? It is amazing that a plane can stay in the air that long without refueling. I paid an additional fee for the seats with the extra leg room on the ATL-JNB leg of the trip. Spend the night in a semi high security lodging in Johannesburg and catch a mid morning flight to Windhoek Namibia. A couple days in Namibia’s capital seeing the sights and adjusting to the ten hour time difference. Ten days on the safari through Namibia, then fly down to Cape Town, South Africa for a week. Finally a day of planes, planes and more planes getting from Cape Town to Seattle on Thanksgiving day. Since the ATL–SEA leg will be on Thanksgiving, maybe the load will be light and I’ll get an empty seat next to me. Of course, I’ll try and write something every day, but don’t expect a post every day. I’m going with a company called Wilderness Safaris and it’s called that for a reason. Some of the properties are only accessible by air and only about half of the places we are staying have internet or cell phone coverage. Yes, it is a true wilderness. No cell service and no Internet, how’s one to survive? What you should expect though is bad spelling, poor grammar, some travelogue, some accommodation information, and lots of bitching about my fellow Safari-ists (travelers?). I fully expect find interesting and like at least two of them. I also expect to find at least two that drive me nuts and will be the bulk of any blog entry for that particular day. Of course, none of them will have any complaints about me in any way.